The Power of Community #5 Custom Truck Simulator Shifter Hardware! We love to be surprised by cool things happening in the truck sim fan community. After blazing through their Kicstarter for SKRS 18 Speed USB Shift Knob, Cory & gang at CSIO Technologies have built a company around a unique business plan - offering high-quality custom hardware tailored for the specific need of truck simulator games. We feel that they deserve a mention here on the blog. The replacement shifter knob is actually using original Eaton Fuller part with additional circuitry for communication with the game. 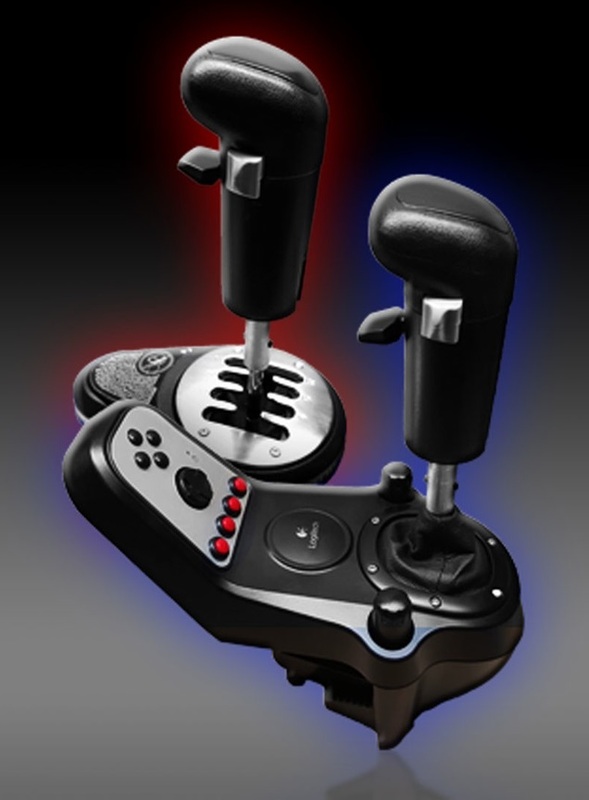 It is compatible with several high-end shifters: Fanatec, Thrustmaster TH8RS and TH8A, and Logitech G25, G27 and G29 steering wheel shifters. Given the price point, it is something only for the most enthusiastic fans. But as there is quite a lot of people who have been ok with buying a $200-$300 steering wheel just to play our games, CSIO may have a decent chance to be viable in the long term. 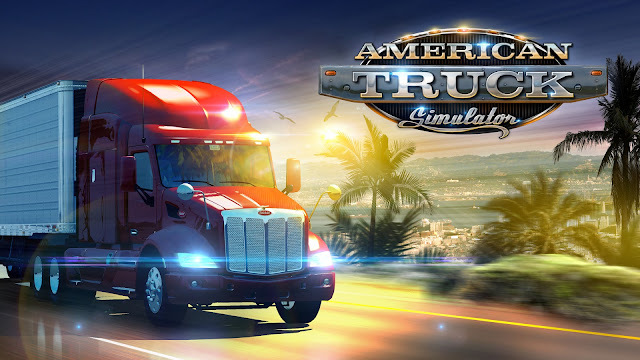 For the upcoming updates for Euro Truck Simulator 2 and American Truck Simulator, we have improved the setup screens in the game to autodetected the new controller, and to understand the new type of switches on the shifter. We are happy to embed one of CSIO Technologie's YouTube videos on setting up the device in our game (as it currently works in the open beta). 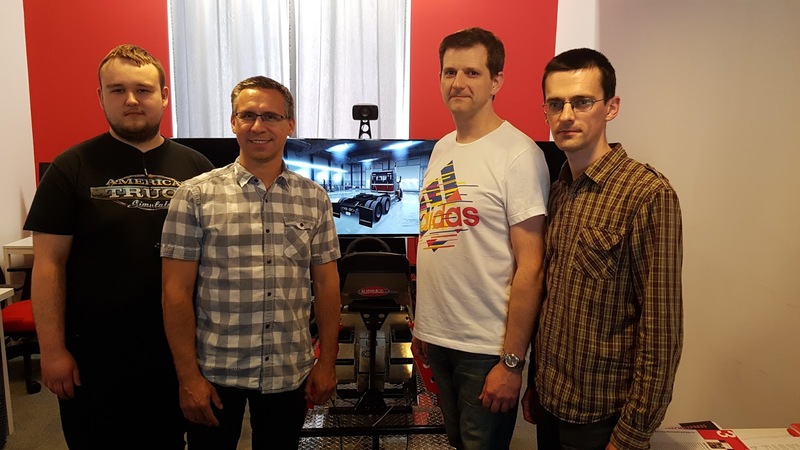 Talking about community involvement, we had the pleasure last week to welcome two influential Polish youtubers playing our truck sims - our Prague office was visited by Wujek Bohun and Wolny Kanał. If you understand Polish, we expect them to cover the visit on their channels. The guys had a lot of opinions on particular features and suggestions for our games to unleash on us, we felt that it was a very constructive discussion. Mixing together Czech, Polish and English languages, we got along pretty well. Hezký den! Miłego dnia! Have a nice day!